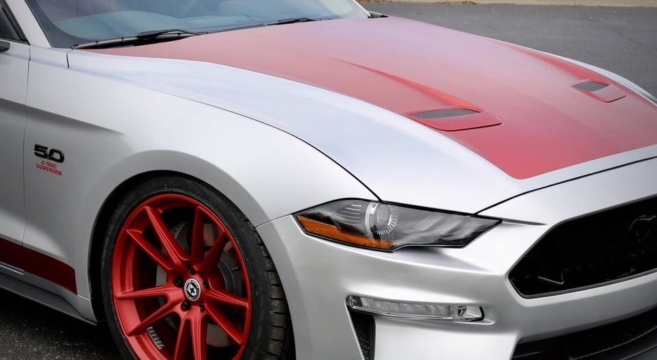 Steeda has just announced its 775+hp Steeda Q850 StreetFighter, a limited production Mustang which they say has been created to dominate on and off the track. To that end, the Steeda Q850 Streetfighter [see full specs] is powered by a Whipple 3.0L Supercharger System producing 775+ HP and 630 lb-ft of torque. 0-60 mph is covered in just 3.1 seconds. To deal with the acceleration, the car sits on Velgen VMB9 Wheels – black (20” x 9” front, 20” x 10.5” rear) and Nitto NT555 G2 Ultra High Performance Tires. To help with handling, the Q850 Streetfighter rides on the Steeda G-Trac Suspension System and a host of other suspension and chassis upgrades. The exterior features the Steeda Aerodynamic Front Facia Enhancement Package, rear spoiler, exterior graphics and hood strut kit. You can check out the full gallery and specs/parts list inside. Will the Next Mustang Get a 7-Speed Manual Transmission?